Emily Goldberg has been called to Puerto Rico for her grandmother’s funeral. She has never met her grandmother or anyone else on her mother’s side of the family. Her mother came to the U.S. to go to college, became a professor, married Emily’s father, and never went home. Once they get to the funeral, her mother has a difficult time dealing with her estrangment from her family and asks Emily if she will stay with her in Puerto Rico for the summer, while Emily’s dad and brother go home. Even though she was supposed to go on a road trip with her friends, Emily can’t refuse her mother in this time of need and chooses to stay. She finds that not everyone in the family is happy to see them and she learns more about her mother’s estrangement from her family. Family, knowledge, tradition, and communication are all themes in this story as a family tries to come together after the death of a matriarch. Emily learns a lot about her heritage and the strength of her mother to fight for what she believes in. Letters to My Mother is about a young girl living in Cuba whose mother has died. Now she is living with her aunt and grandmother who are mean to her, so she writes letters to her mother to discuss her feelings and mistreatments. She also befriends a neighborhood woman and a white boy in school who also has problems at home. She quickly sees that these two people are willing to stand up for her when no one else will. She eventually finds out why her family has such a grudge against her and forgives them for it. This story discusses death, life, forgiveness, and love. It is a powerful story that no one will regret reading, but it is a little too short for a RAC book. Anna is awakened one morning to find a man screaming in her face military style. She worries for a second about a home invasion, but quickly realizes that her parents are sending her to a military style reform school for girls. She is taken to the school on an island in the Bahamas. Once there, Anna realizes that her life is going to change dramatically over the next three months. There are rules and regulations for everything. On her second day her group is sent out into the woods for an overnight campout. Halfway to the meeting point, however, her leader is shot and the girls scatter into the woods amidst further shots. Soon Anna finds herself lost in the woods with just a few other girls. Do they have what it takes to survive? This book was described as a cross between mean girls and lord of the flies and that is what is was. The survival of the fittest is definitely a theme that runs throughout this book and none of the girls change as the circumstances worsen. Anna is struggling with some personal demons she has been trying to forget for some time and in the end she must make a choice to stand and live or fall and die. The writing is intense as the “bad girls” struggle through this crisis. It is not a story with a perfectly happy ending, and some terrible things happen to them on their journey. Despite the possible authenticity of some of the language used, it seemed overdone and unnecessary at times. This story was an adventure story in which these girls must come to terms with who they are and what they are willing to do to survive. Since these girls were sent to military camp and displayed less than desirable traits early on, many fail to become sympathetic characters and their mean traits tend to get more pronounced as the story goes on. Deanna Lambert was caught in the back seat of a boy’s car by her father when she was only thirteen. She is embarassed and sorry for her behavior, but in her small town no one wants to let her forget it. Of all the people who won’t forget that night, her father is the one with the best memory. He won’t look at her the same way or trust her with anything. Now Deanna is sixteen and still struggling with what happened three years earlier. Her older brother is living in their basement with his teenage wife and baby, which causes more tension at home. When Deanna decides to get a job to help out at home she realizes that her reputation has preceded her yet again and the only place she can find work is a run down pizza place where the infamous boy who tainted her reputation works. She must decide how much she wants to make money in order to leave town. Story of a Girl focuses on the idea of forgiveness. How long should someone be punished for making a mistake? How long should a person hold a grudge? How long can a person stay mad for his or her life not turning out like it was supposed to? No one has the ideal life in this book. They have all made mistakes and must learn to take responsibility for those before they can move on and make a better life for themselves. The main character, Julie, faces a problem many girls face in junior high and high school and that is a mean girl. Dana is Julie’s mean girl and goes out of her way to make Julie feel bad on a regular basis. When Julie mentions it to her mom, her first reaction is to call the school or Dana’s parents. As most girls know, this solution would only add to the problem. Julie’s brother tries to make her feel better by telling her that the high school students make fun of Dana when she comes to their parties. Of course, going to high school parties is something Dana is most proud of. Julie is given a unique opportunity when she finds some pictures of Dana taken of her at one of those senior parties. Her best friend, Sammy, urges her to take the high road, but as Dana continues to lie and bully, Julie finds herself building the courage to give Dana what she feels she has coming. Dana’s reaction to the betrayal is much worse than Julie could ever have predicted and Sammy gets upset that she lowered herself to Dana’s level. The message of this story is that treating someone in a cruel manner because that’s how he or she treats people will not solve anything. Dana was not able to handle not being in control and Julie found she couldn’t handle the role of bully. While this is true, many young girls who are being bullied will have a hard time sympathizing with Dana’s character. It’s much easier to tell someone to be the bigger person than it actually is to do it, especially when undergoing some truly cruel behavior. Hopefully, this book will be comforting to those in Julie’s situation in that becoming the bully will not make you any happier than being the bullied. No matter how you look at it, this is a tough issue with no easy answers. Schuyler comes from a well distinguished family, but they have lost their family wealth over time. She does not feel the need to fit in at school and seems content to go through life as an outcast. Bliss, on the other hand, is a new girl from Texas who has been given the opportunity to hang out with Mimi Force, one of the popular Force twins. She belongs to the popular crowd of thin, beautiful, and rich young people. When she meets a boy she likes she wonders if she can give up her popularity to be with him. Both of these girls come to learn that they are Blue Bloods. 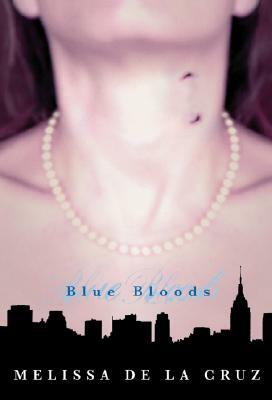 In this book, the Blue Bloods are vampires and the Red Bloods are humans. Most people are not told they are a vampire until they are teenagers. All of those beautiful, rich, thin people are vampires and as such cannot be killed…or so they thought. When a classmate is murdered and all of her blood is drained, some of the teens begin to wonder if someone is out there killing vampires. Vampire books are popular with my students right now. This one was not as good as the series by Stephenie Meyer, but it was entertaining. Each vampire book has a different set of rules for explaining their existence and this book is no exception. Some of the details given about vampires in this story are interesting and thought provoking. 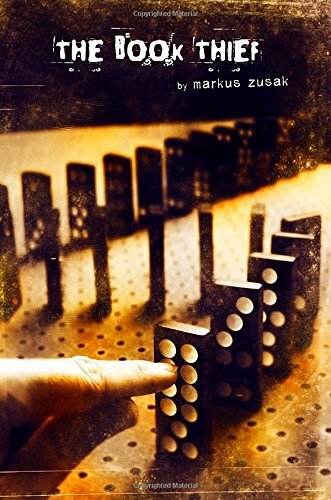 The characters do not have as much depth as the Meyers series, but for those students who like to read about the wealthy and powerful this will be a hit.